Keep your style neat as you get older. That mop-top from your younger days may not work anymore. If you’re going bald, you have options. You can spend the cash in hopes of restoring your hair, trim it super short, or shave your head clean. A ponytail, especially if you’re balding, will make you look older, not hipper. If you want to cover your grays, choose a color close to your natural shade. Nothing says “old man” like crazy eyebrows, ear hair, and a bushy back. Have your barber tame your brows, ears, and nose hair. 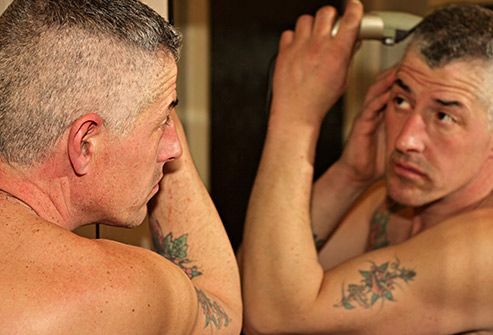 Or you can do it yourself with at-home trimmers. Keep your back and chest fur from peeking out of the top of your shirt by shaving, waxing, using a depilatory (a cream that removes hair), or through laser treatments. Shave Your Beard. Or Don’t. 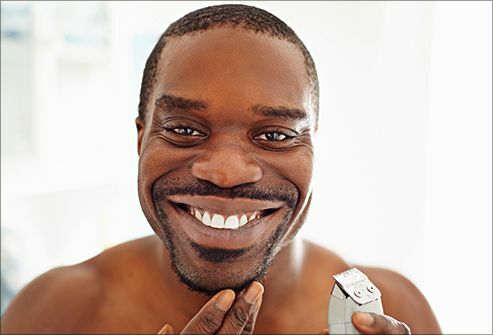 Most of the time, a closely shaved man looks younger than a guy with a beard and mustache. That said, there are no rules, just keep it well-groomed. If you decide it’s time to cover your gray, use a dye that’s meant for men's facial hair. A solid beard tone will look fake. To keep your skin from adding years to your looks, wear sunscreen, moisturizer, and lip balm daily. 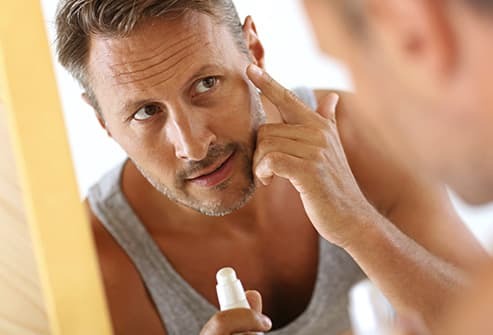 Retinoids can help you slough off old skin cells. You can find them in many over-the-counter products or get a stronger version by prescription from a dermatologist. They also stop collagen, the stuff that keeps your skin stretchy, from breaking down. This gives you a more vibrant, youthful look. Is it time to get a little work done? 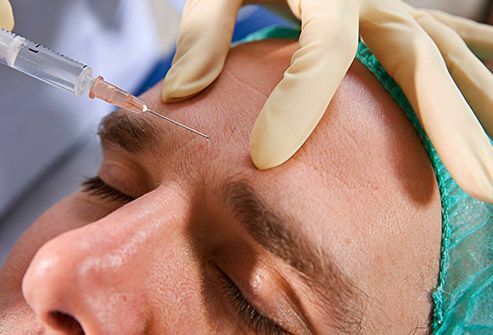 A doctor can inject something called a filler just below the surface of your skin to plump it up. Or you can try a Botox shot. It weakens muscles, which softens wrinkles. Common places to get it are on your forehead and around your eyes. Laser skin resurfacing can zap shallow to medium-deep wrinkles. If you want to look good on the outside, you gotta take care of the inside. You can’t act like you did in your 20s. 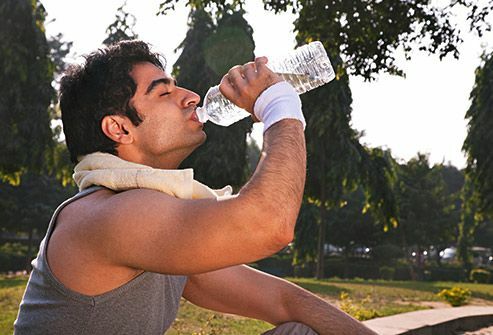 You know the rules: Get plenty of rest, eat right, drink water, don’t smoke, leave the booze at the bar, and try to get some exercise most days. A bright smile can make you look -- and feel -- like a million bucks. 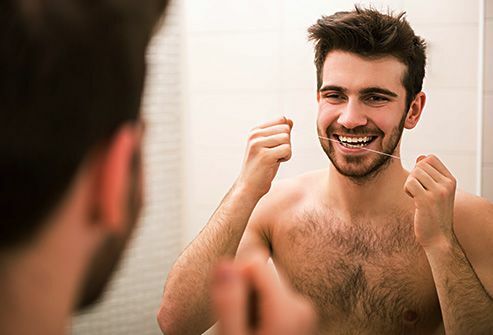 Guys who brush and floss regularly can up the wattage with a whitening toothpaste. At-home bleaching strips or trays also work. You can also go to the dentist for a treatment. For a big change -- if your choppers are stained, damaged, or crooked -- ask about veneers. These porcelain shells cover the front side of your teeth. 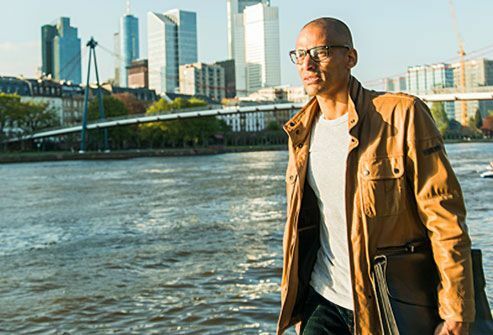 Stock your closet with a few quality pieces like a good suit, a leather jacket, and dark-wash classic-fit jeans. Add some trendy items each season, but don’t hang onto them after everyone else has moved on. If you can afford it, have your clothes tailored for a perfect fit. Accessories are OK, but don’t overdo it with the bling. Chukka boots and wingtips are stylish, and each works well with a number of outfits. 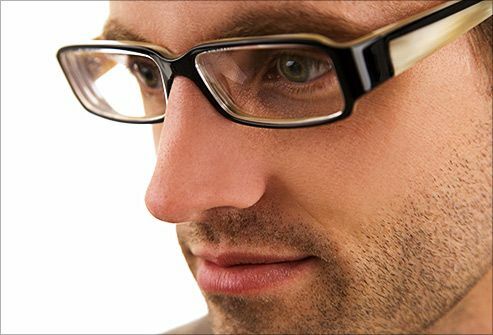 Molded plastic eyeglass frames are hot right now and will help hide some of the character lines around your eyes. A frame that sweeps upward at the temples will help give your face a visual lift. Stay away from styles with heavy lower sections or a downward curve (like aviators). They can give you a heavy or droopy look. Franchomme, fashion management consultant, Attire Club, Vienna, Austria. Marc Glashofer, MD, The Dermatology Group, West Orange, NJ. Tamara Connor, wardrobe consultant, Atlanta.